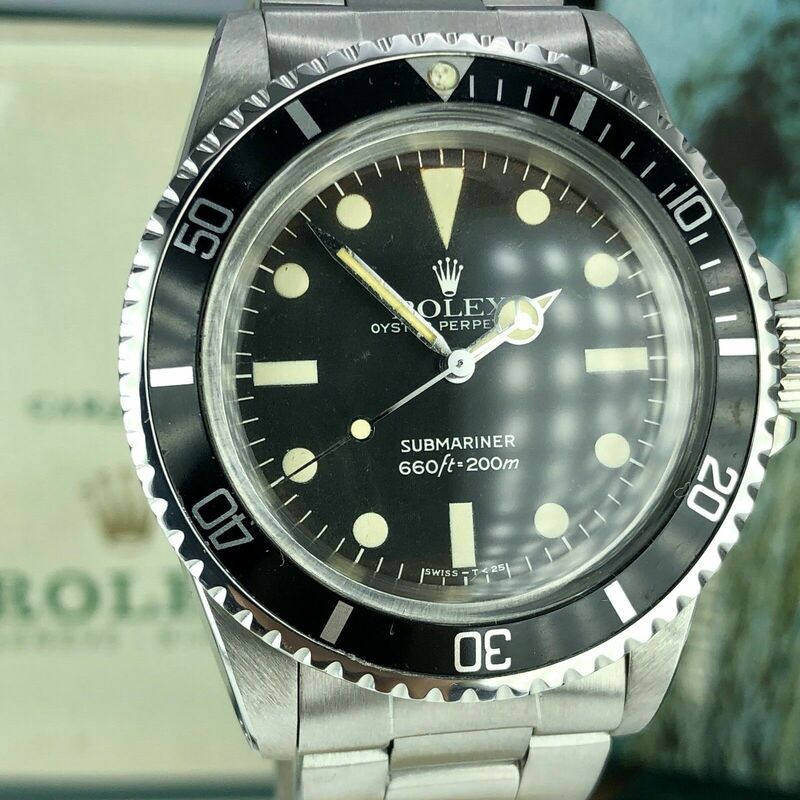 About The Watch: A Very Nice full set example of Rolex Submariner 5513 from 1972 sold in 1975 (3m serial). 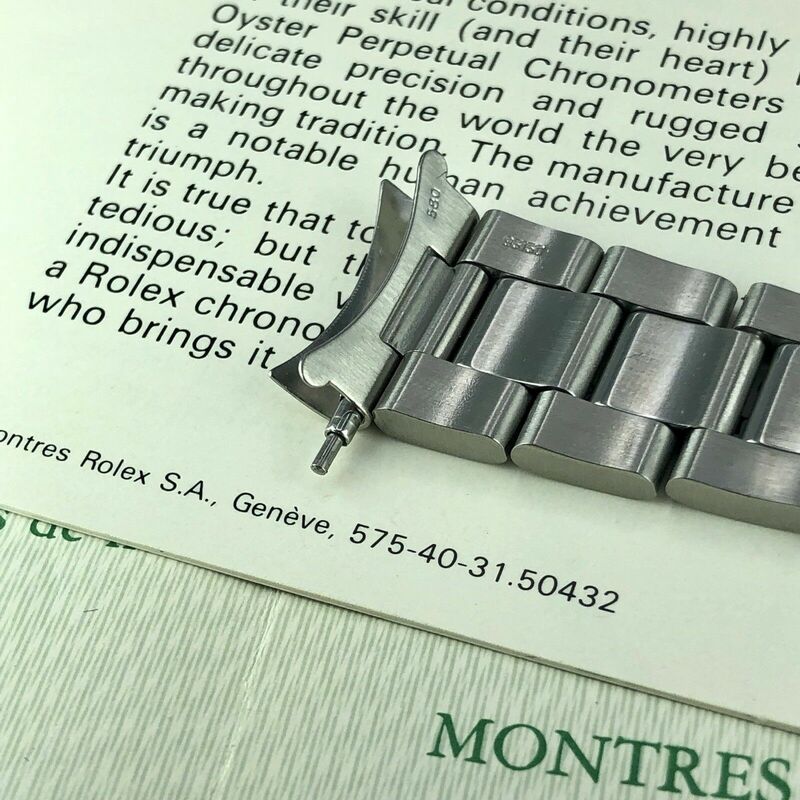 Case and Bracelet: Amazing recently polished Case , original bracelet 9315 code VC 1978, with correct end links 580. 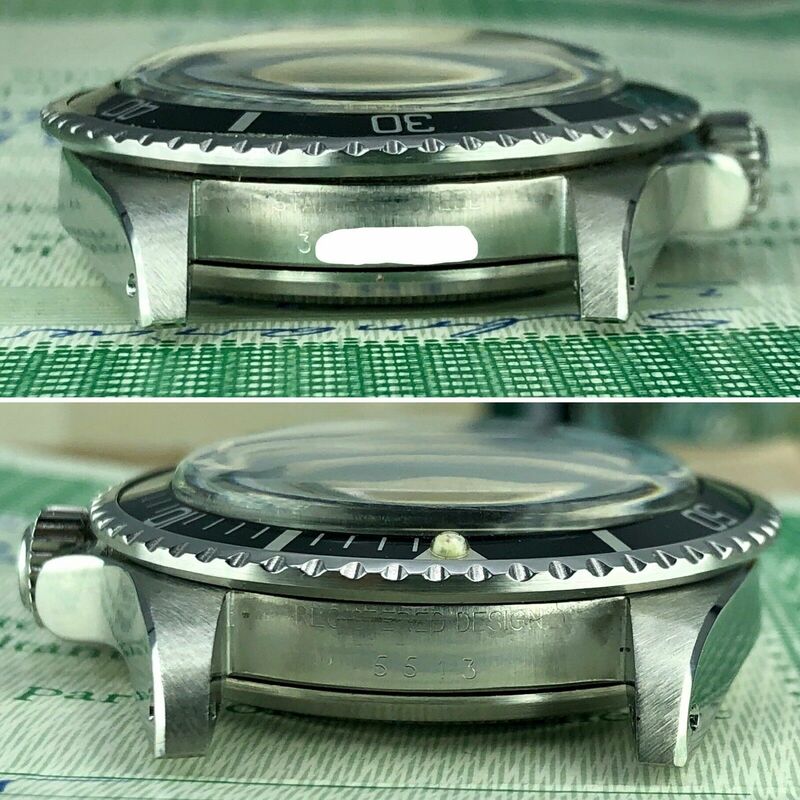 Dial and hands: Original untouched Dial and hands. 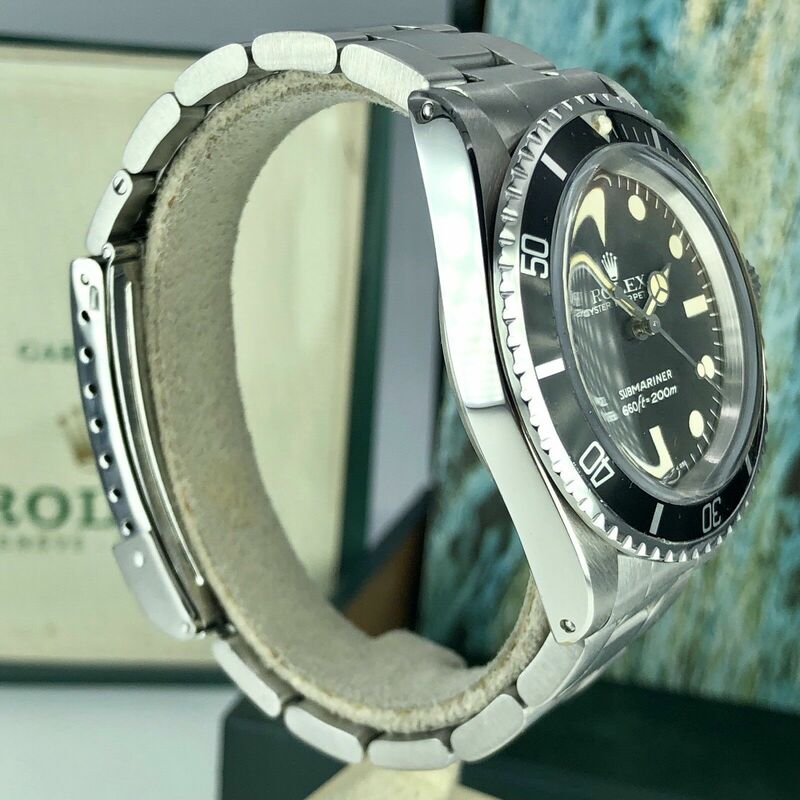 The dial has aged and it has tropical brown spots. 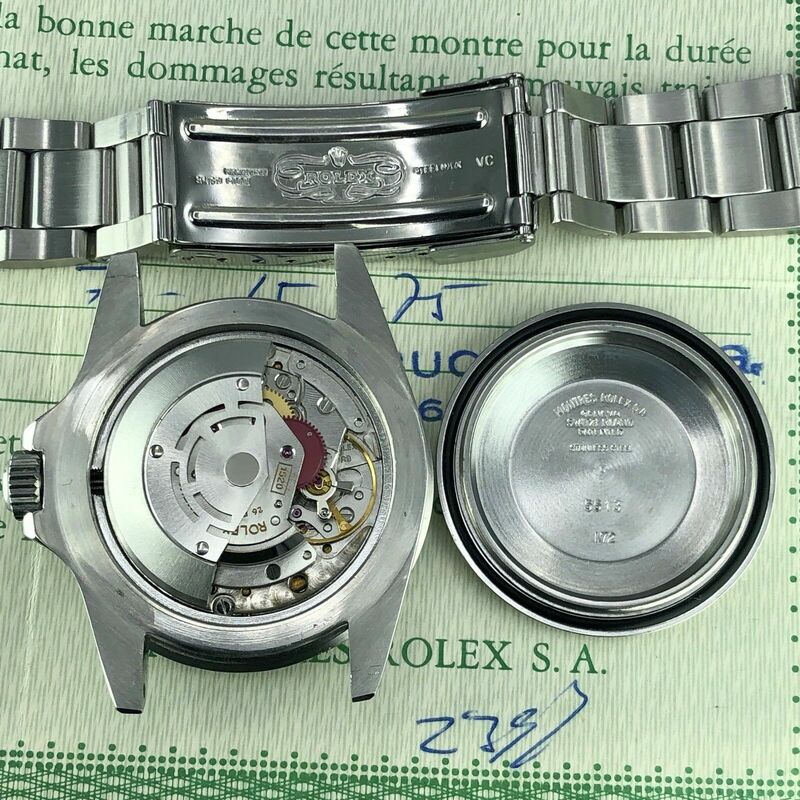 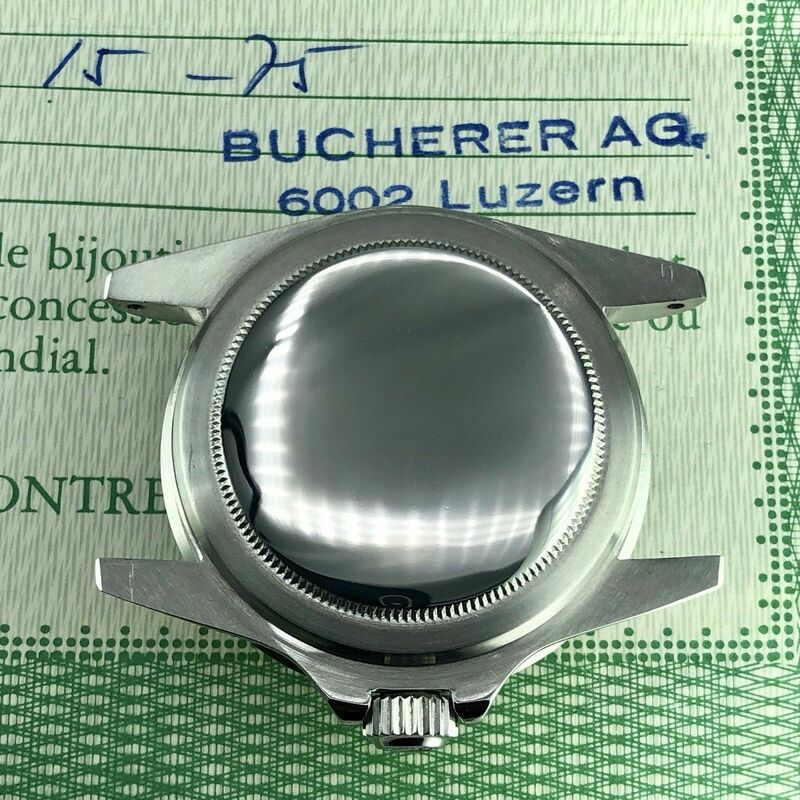 Movement: 1520 keeps perfect time, recently serviced. 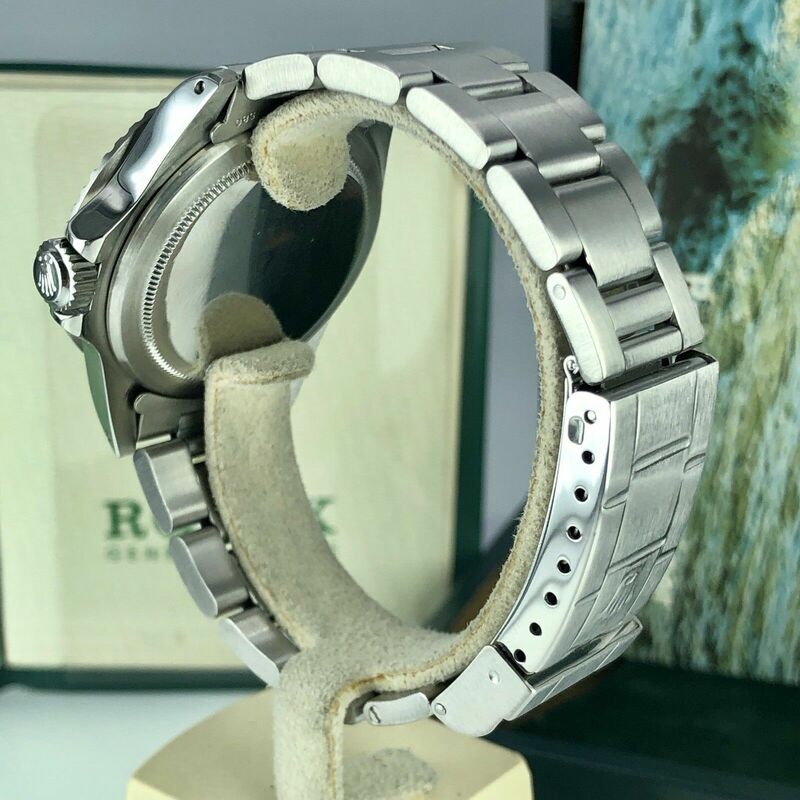 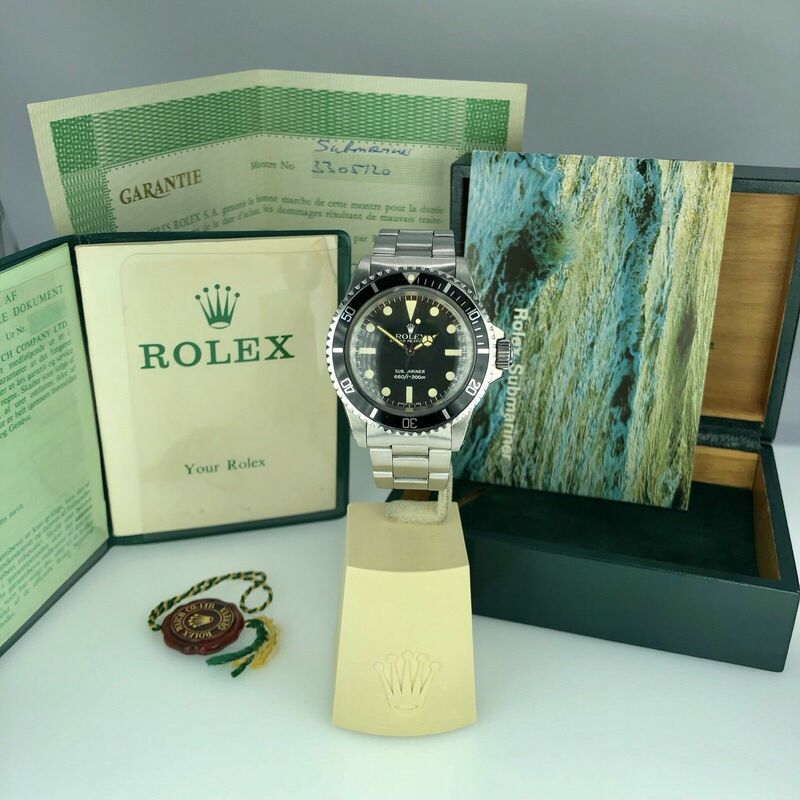 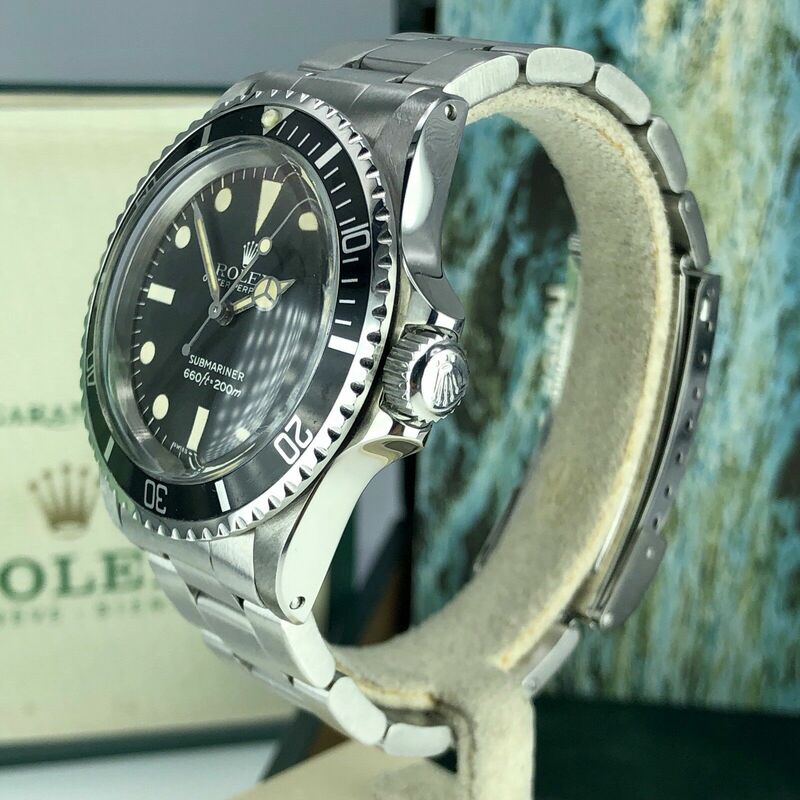 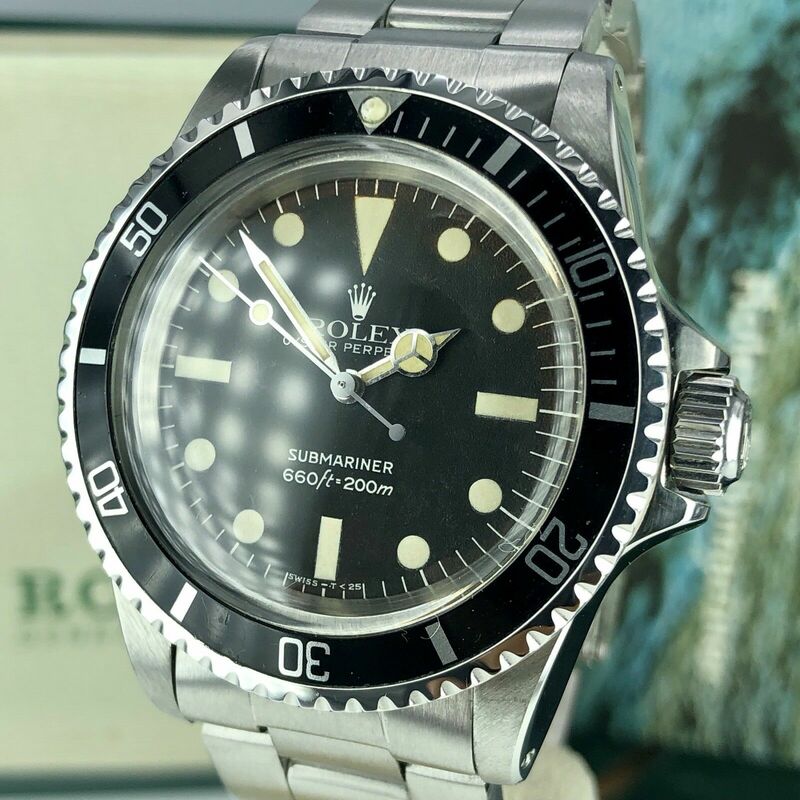 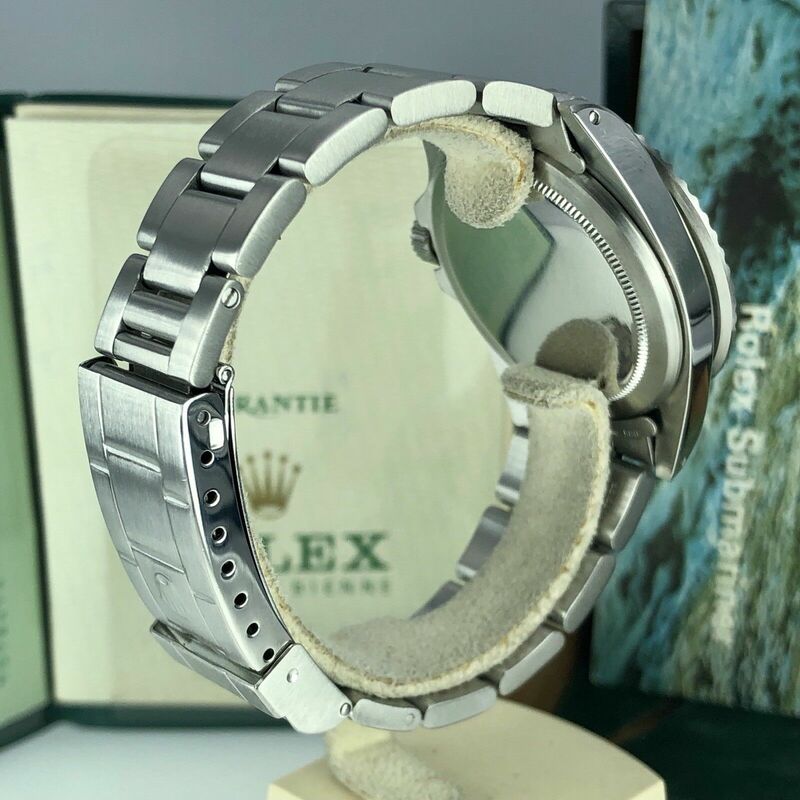 Accessories: Comes with inner box, Submariner booklet, your rolex booklet, Certificate paper plastic wallet , Red hang tag, and the original Rolex warranty certificate dated 1975 from. 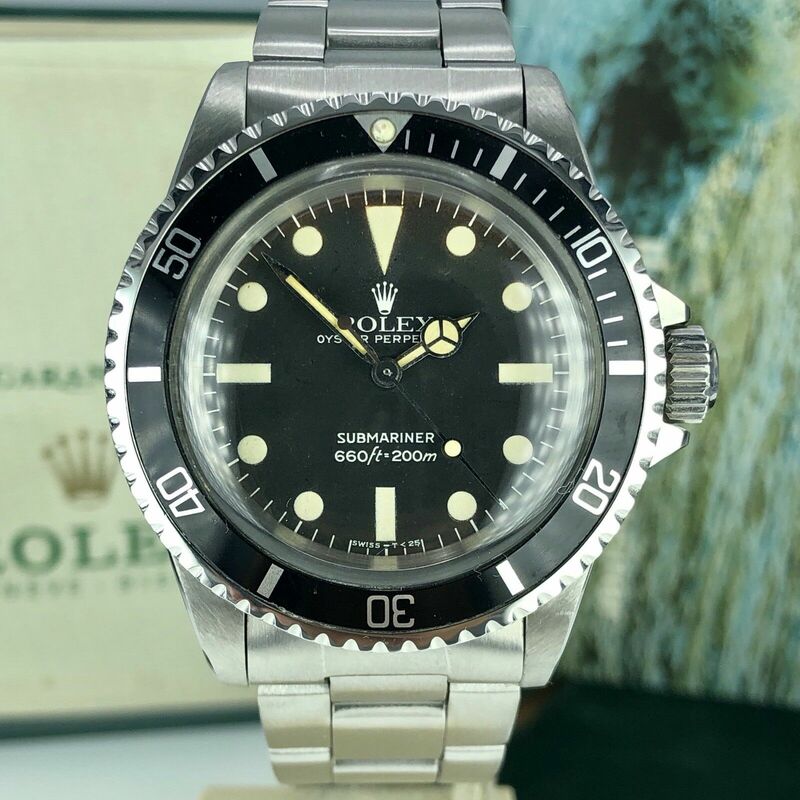 uniquely complete collector’s set in factory condition.